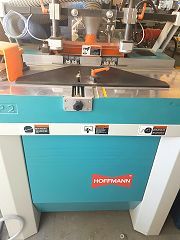 Hoffman PP2-6A dovetail router, as new, perfect for timber / aluminium windows. Can also be sold with a Wegoma AKF 223 end milling machine that preps left and right. All ready to go.